There are 7 direct trains per day from Lang Suan to Bangkok’s main train station Hua Lamphong and there is also a single ‘ordinary’ train service per day to Thonburi train station in Western Bangkok departing at 05:45 and arriving in Thonburi at 16:10. Train times from Lang Suan to Bangkok Hua Lamphong train station. The fastest train from Lang Suan to Bangkok is Train #40 departing from Lang Suan at 11:54, and arriving 7 hours 51 minutes later in Bangkok at 19:45. The slowest train is Train #170 departing from Lang Suan at 22:05 and arriving in Bangkok at 09:00, a scheduled journey time of 10 hours 55 minutes. 5 out of 7 of the train services from Lang Suan to Bangkok have sleeper berths available. The train services which have seat only options are Train #40 departing from Lang Suan at 11.54 and Train #42/44 departing at 21:52. Both Train #40 and Train #42/44 are three carriage Special Express services, also known as ‘sprinter trains’, which travel faster than other train services. Train #40 is a great option for day time travel the best overnight train from Lang Suan to Bangkok is Train #86 departing from Lang Suan at 20:11. Train #86 is an Express Service with 1st and 2nd A/C Sleeper Seats available. It costs between 250 THB and 290 THB extra to buy a ticket online through the Search Box than it does to buy a ticket at the train station. The benefit of booking online is that you cannot guarantee to be able to buy the ticket that you want on the best train if you wait until the day of travel. During busy periods the better seats often sell out before the day of travel. 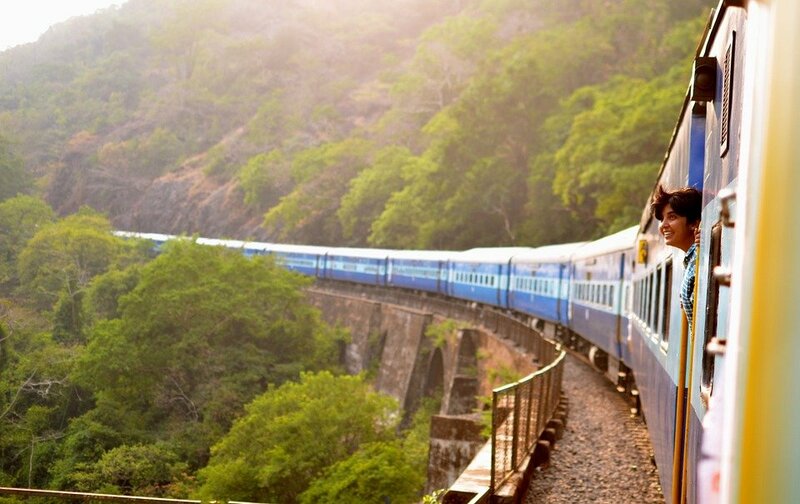 Trains from Lang Suan to Bangkok run on the busy Southern Railway line connecting popular destination such as Hat Yai, Surat Thani (close to the ferry ports for Koh Samui and Koh Phangan), Chumphon (near the ferry ports for Koh Tao), Hua Hin to Bangkok. 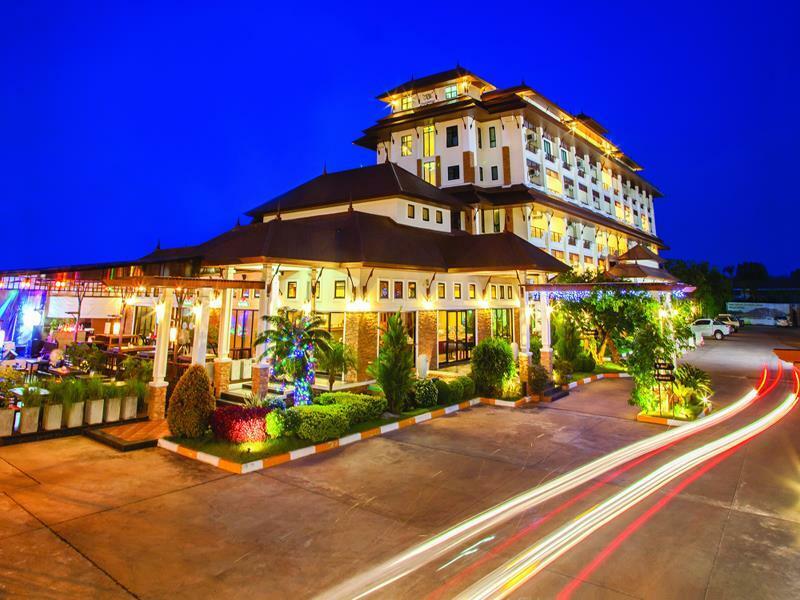 Travel by train from the beach resorts in the South of Thailand to Bangkok is a popular option for many foreign visitors who tend to prefer to book sleeper berths and seats on Train #40 creating a demand which outstrips supply in busy holiday period. Bangkok’s main train, known locally as Hua Lamphong, is located in the Yaowarat (Chinatown) district of Bangkok. Yaowarat is near the Chao Praya river and a relatively short distance from the Grand Palace and Wat Arun. Yaowarat is what is sometimes described as ‘old Bangkok’ as it used to be the commercial centre of Bangkok. 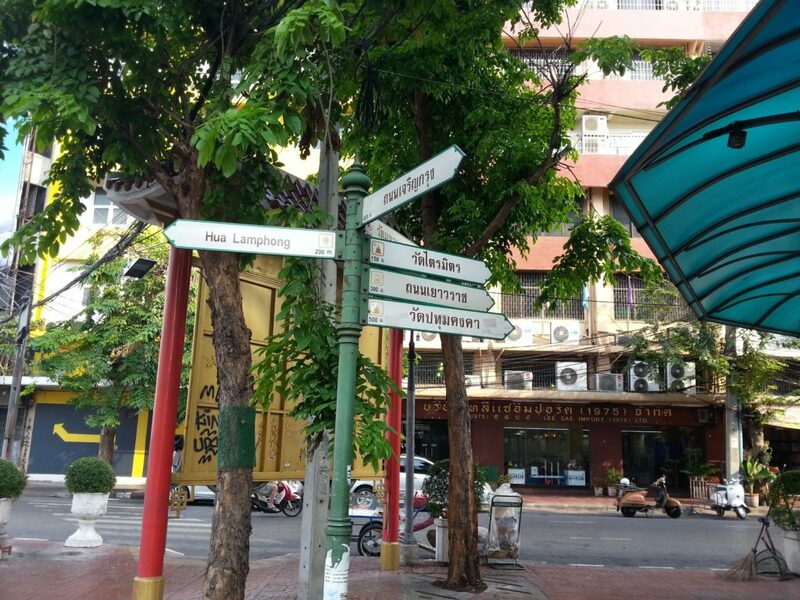 In more modern times the commercial centre has shifted to areas around the Silom Road, Siam Square and the Sukhumvit Road which are ‘new Bangkok’. To get from Yaowarat to these more modern parts of Bangkok you need to take public transport or a taxi because they are much too far away to walk. Metro: There is an entrance to the Hua Lamphong MRT station at the Western side of the railway station, which is to your right as you exit from trains arriving in Bangkok. You can travel by metro to direct to the Silom Road, the Sukhumvit Raod, Phetchaburi MRT (for connections to the Airport Express Link) and Chatuchak Park MRT Station (for travel to Bangkok’s Northern Bus Station. You can also connect with the BTS skytrain at Silom and Sukhumvit MRT stations. Chao Phraya Express: Located 1.2 km is Pier Number 4 (The Marine Pier) of the Chao Phraya Express Boat service. This commuter boat service has stops near to many riverside destinations. This service is cheap and quick and a great way to travel from the train station to the Khao San Road. Meter Taxis: If you take a meter taxi from the official taxi rank on the West side of the station which is managed by the Thai police, meter taxis are cheaper than tuk-tuks and an excellent way to transport luggage and children around Bangkok. Taxis. however, are not necessarily quicker than travelling by Metro is you are trying to cross from ‘old Bangkok’ to ‘new Bangkok’ particularly between 17.00 and 21.00 when roads in central Bangkok become very congested. Even if money is not an issue for you taking a taxi is not necessarily the best option for travel around Bangkok if you are able to walk up and down escalators and along station platforms. Lang Suan Railway Station is in the centre of Lang Suan town. Bangkok’s main train station is located near to the top end of the Rama IV Road.